Disease, unwellness, and poor health can manifest in so many different ways. There are also many factors that cause this degeneration: bad diet, lack of exercise, exposure to chemicals, stress, and much more. When we study it closely, struggling health can seem like a complex machine with hundreds of different inputs. Each different combination leads to countless different outcomes. As we all know too well, slipping up in certain areas of wellness leads us down certain roads—or multiple roads—towards unwellness, disease, and specific disorders. But what most don’t realize: there’s a middleman between almost every illness and its cause. That middleman happens to be chronic inflammation. A middleman for illness and its causes—what exactly does that mean? It means that though different causes lead to different states of unwellness, they all tend to develop from the same mechanism. And that mechanism is inflammation. For example: too much sugar and processed foods may cause type 2 diabetes. Inadequate healthy fats can damage heart health, while too much stress may cause anxiety or depression. When you look at these closely, each of these poor diet or lifestyle choices causes inflammation in a different body system. Then, in time, unwellness develops in that system not long after. This makes chronic inflammation a very important mediator for almost all disease. That’s right: chronic inflammation is what lots of today’s prevalent diseases have in common. Inflammation itself is caused by diet, stress, and much more. But how exactly does it take place? For starters, chronic inflammation is very different from “acute inflammation”: the type of inflammation that happens due to injury, allergies, colds or flu, even wounds. Instead, it’s a low-grade inflammation that creeps up slowly due to certain causes. We might not even feel it or experience it very noticeably, and it may settle in just one bodily system or more than one. Over time, we may feel it as chronic pain, fatigue, brain fog, or other subtle problems. In time, it turns into disease. To understand inflammation better, there’s another mechanism that occurs at an even deeper level than inflammation: and that’s free radical damage. Antioxidants are such a popular health nutrient talked about in foods these days because they reduce this free radical damage, which is caused by oxidation in cells. And though some (but not all) know this, it’s the chronic inflammation caused by this free radical damage that we really need to worry about. Antioxidant foods, supplements, and other healthful things fight the heart disease risks, stroke risks, and other health issues health experts talk about so much because they bring a halt to chronic inflammation caused by cellular oxidation. While we hear more about the power of antioxidants from dark leafy greens, dark berries, or even just about any nutrient dense food (including animal foods like liver and oysters), there’s another greater source of these inflammation-fighting powers we should take into account. One way to define adaptogens: these are the most powerful medicines from past healing traditions that science continues to support today for protecting health. More specifically, they help the body “adapt” better to inputs caused by stress, and which then cause and spread disease-causing chronic inflammation. Most adaptogens, as a rule, are healing mushrooms or herbal botanicals, and they also happen to be antioxidant-rich. We have lots of antioxidant-rich foods to incorporate into our diets to help keep inflammation at bay. But think of adaptogens as more powerful antioxidant powerhouses, containing far more advanced compounds that leave common antioxidant nutrients in the dust. Healing adaptogen herbs and mushrooms are like superfoods, but even better. 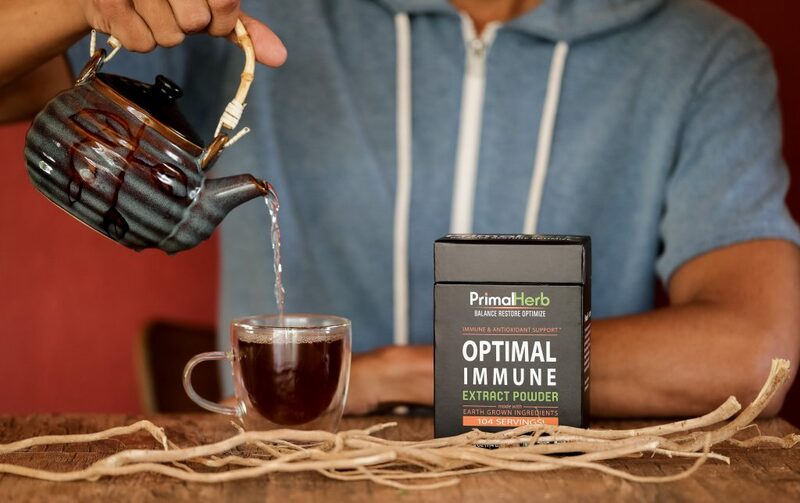 Instead of consuming them in great amounts (like food) three times a day for their inflammation-protecting benefits, potent botanicals only need to be taken 1 or 2 times per day in smaller amounts as a supplement. In fact, herbs can help make up for antioxidants we don’t get in meals if we slip up with eating well once in a while. 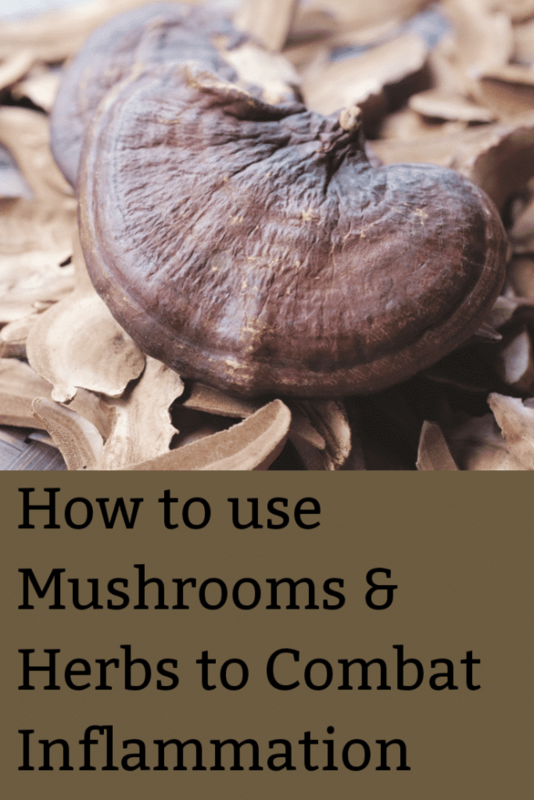 The following herbs and mushrooms are shown by traditional healing practices and science together to have the greatest antioxidant effects while strengthening the immune system. This can be one of the most natural, holistic, and self-empowering approaches to fighting inflammation there is. A healing herb from ancient Ayurvedic practices, ashwagandha has walked in both worlds of food and medicine for centuries. It’s considered one of the best adaptogens today by modern herbalists. Many use it to help treat inflammation and protect the immune system, even for autoimmune conditions. Studies show it helps in this way due to anti-inflammatory properties. In fact, in this study in particular, the effects were so remarkable that they helped reduce symptoms of pain and inflammation from arthritis in the test subjects. Researchers concluded that it was because of the plant’s antioxidants, which curbed free radicals causing the inflammation and which created the painful arthritic condition in the first place. While ashwagandha may help inflammation that leads to arthritis or autoimmunity, the famous immune herb astragalus holds up a different corner. This close relative of beans, peas, soy, vetch, and more is widely known for being a great cold and flu remedy. It appears to do this so well by strengthening the immune system naturally, which is in itself owed to free radical scavenging and the reduction of chronic inflammation as a result. A 2012 study further showed that astragalus was capable of keeping down inflammation in people with diabetes, particularly in the kidneys. Once again, these activities were traced to antioxidant pathways—meaning that astragalus works as an antioxidant to achieve this. Ever heard of burdock? It may be a more recognizable sight in the backwoods on forest paths rather than in the supplement section of a store. Burdock is the well-known large-leaved plant that leaves thick, fuzzy brown burrs on our clothes when we hike. It’s also a popular culinary root in Asia. But in the herbal medicine cabinet, it has a more illustrious reputation: it enhances immunity by fighting chronic inflammation in many parts of the body. In one study, burdock showed promise in helping inflammation involved in allergies, particularly skin allergies like contact dermatitis. In another study, it helped inflammation in the digestive tract and helped a case of colitis. Chaga is a stunning sight in the wild, growing out of birch trees like the black-and-tan fungus version of a geode. Such a unique appearance no doubt drew the first healers to it to try it out as a food and medicine. The results have amazed both herbalists in ancient times as well as scientists today. According to research, chaga is an adaptogen, anti-inflammatory, and antioxidant of the highest order. Like burdock, a study showed that chaga could soothe inflammation of the digestive system, like in colitis. But more extraordinarily (and famously ascribed to chaga), other studies have shown that its antioxidants are powerful enough to fight inflammation AND fight cancer together. Also called hen of the woods, this splendid foraging mushroom is really something to cluck about. Maitake may have a better reputation for modulating and boosting immunity than any other healing mushroom out there. More than others in its caliber, maitake is synonymous with immune system health, and it all has to do with its immune-balancing qualities. One study confirmed this, linking it to antioxidant compounds that soothed inflammation. It also showed that it could help the immune system in check too in the case that someone was experiencing an autoimmune disease. This is great news for people who also love to forage mushrooms since maitake is a choice edible fungi. Some adaptogens have specialties (such as gut health, blood sugars, or skin health), and then there is the jack-of-all-trades. Reishi is one such adaptogen and mushroom. Studies support that reishi can help with many dimensions of health, and many of them tie into its antioxidant powers. This includes an ability to help the body hold its own against inflammation. It’s shown to protect against gut inflammation, skin inflammation, diabetes, even cancer and many of the same areas other adaptogens show potential in. Though with reishi, research takes things a step farther. One study showed it could protect against inflammation occurring in the liver. 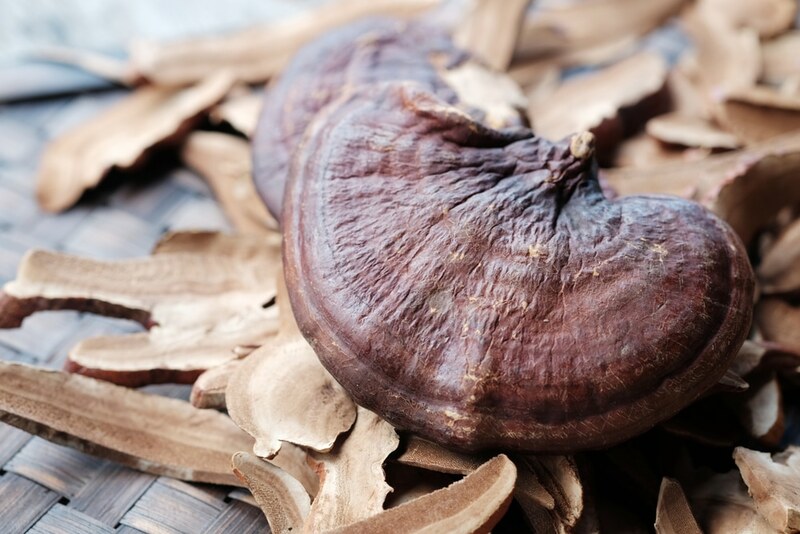 In another, reishi proved that it may also be able to protect against neurological inflammation. It may surprise some, but chronic inflammation is at the root of almost all the common diseases we tend to reckon with the most. This provides us with an insightful holistic key, or even a gateway, to reducing the risk of, supporting, or eliminating illnesses. Chronic inflammation issues can be a pain, but they also provide a target. The following are a list of conditions and diseases that, through fighting inflammation, we can greatly slash our risk of getting. In addition to the research-supported adaptogens in this article, there’s more in one’s power that can be used to combat inflammation. The following are the best diet and lifestyle tips to pursue, and which may help naturally keep inflammation out of one’s life and reduce the risk of chronic illness. Worried about inflammation? We’ve created an immune-strengthening supplement to ease the mind: Optimal Immune. Each herbal or mushroom ingredient is carefully selected for antioxidant content, history of successful benefits, evidence-based uses, and scientific research for effectiveness.